When a contract is entered into, both parties named in the document are required by law to uphold their responsibilities as stipulated. 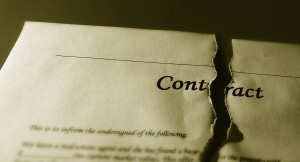 Failure to do so constitutes a breach of contract, and legal action is often necessary to reach a resolution. Our firm represents individuals and businesses in various areas of contract law including disputes involving collections, surety bonds, lease disputes, LLC members and partnership disputes, to name a few. Additionally, we prepare contracts for individuals and businesses as well as review contracts already in place to determine a client’s rights or obligations and/or whether amendments are needed to further protect our clients.